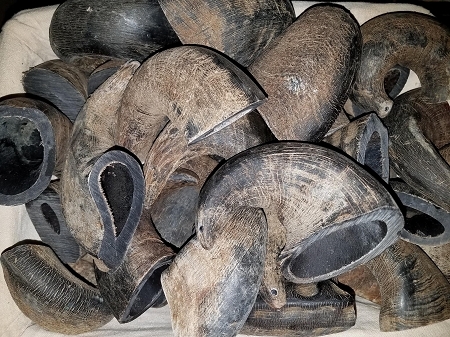 All natural Water Buffalo horns for days of joyous chewing!! These horns are All Natural with no flavoring or coloring added. Perfect for young dogs still teething, or for that dog (like mine) that just likes to chew things they shouldn't whenever they get mad or bored! Also great for cleaning their teeth. These horns all average about 4-5 inches long. I've found that these are perfect for smaller dogs and puppies. Best for dogs under 30lbs.